Want to be a data science pioneer in a developing field, make a difference by impacting global health, and leave a legacy? We invite highly talented and highly motivated data scientists to apply. Our internationally respected team of academics and thought leaders apply the very latest in computational methods to solve real world public health problems. This includes novel research and producing tools that bridge research into action. We build scalable software systems for processing web data to provide key insights to public health professionals. Our projects are wide ranging and require a variety of skills that address discrete and big idea problems. We work on many public health issues (e.g., tobacco, product regulation, mental health, obesity, marketing, etc.) for a variety of clients (e.g., (government health agencies, drug companies, medical device makers, and philanthropies) and build out innovative technology stacks that have broadly marketable intellectual property (e.g., news media monitoring on public health issues that mirrors the Bloomberg Terminal, mining social media to produce real time trends for health and health behaviors, or implementing fully automated (both in implementation and analysis) in-depth, open-ended qualitative interviews on health issues). We seek creative people with a diverse skill set: from brainstorming new ideas to training machine learning models, to generating data insights, to writing scalable production software. You will have the support of the company’s founders who have mentored scores of alumni in their academic work, including noteworthy computer and public health scientists. Most importantly, you will be working on transformative ideas that will change public health for decades to come by developing strategies to discover, describe, and deliver actionable insights. Good Analytics is a remote company, operating through Slack and Hangouts. We offer a competitive salary (>$100,000) or can hire candidates as a consulting data scientist. Communicate clearly inside and outside the company, to foster cooperation and development. BS or Master's degree in Computer Science, Electrical Engineering, other related degree, or equivalent experience. 3+ years experience with software engineering and infrastructure design skills. Strong work-ethic and passion for problem solving in the real world. Experience with Python. We make generous use of tools like Celery, MongoDB, Pandas, Scikit Learn, and Django. Experience with data science fundamentals, machine learning and natural language processing. Development and deployment of software within Linux environments. Good Analytics creates actionable intelligence from big media data, making public health advocacy more data driven and thereby more responsive to the actual public. Good Analytics is committed to fostering and supporting a creative and diverse environment. 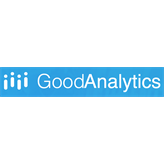 Good Analytics is an equal opportunity employer, and as such will consider all qualified applicants for employment without regard to race, color, religion, gender, gender identity or expression, sexual orientation, national origin, genetics, disability, age, or veteran status.